On the clean white Bophut Beach next to the translucent blue sea and surrounded by coconut palms, the Smile House is located. We provide a warm welcome and friendly service with a romantic bungalow of your choice. There are regular rooms with aircon or specials rooms with air-condition, refrigerator and shower. 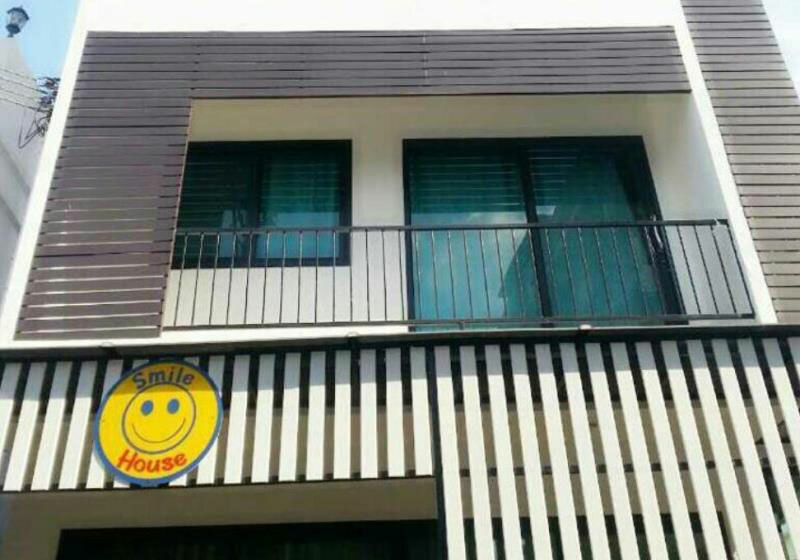 Smile House is a relaxing place beyond your dreams. We have a swimming-pool for your enjoyment – or you might like to take your exercise by walking through the beautiful surrounding landscape. There is a restaurant serving all kinds of food to your taste. We specialise in fresh seafood. You will cherish the atmosphere here next to the beach. Hiring cars are available should you want to tour around Koh Samui. Telephone for local and international calls is also available. Money exchange for many currencies is at your disposal. Short Description: On the clean white Bophut Beach next to the translucent blue sea and surrounded by coconut palms, the Smile House is located. We provide a warm welcome and friendly service with a romantic bungalow of your choice.